About the BOOKS April 1998 Copyleft © Hakikat Bookstore, Istanbul. [*]Translated, for the most part, from Ayyub Sabri Pasha’s Turkish work Mir’at al-Haramain: 5 volumes, Matba’a-i Bahriyye, Istanbul, 1301-1306 A.H.
36 – During the time when the Ottoman reign was dominant in the Arabian Peninsula, each state was governed by an official selected from the state. Later on, every region except the Hijaz came into the possession of whomever could usurp it and was governed as sheikhdoms. 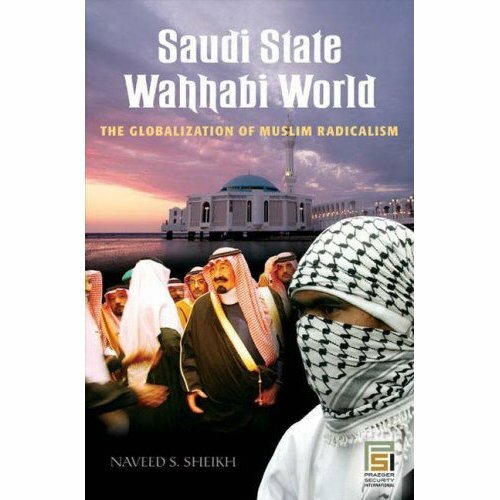 The tenets of Wahhabism disseminated by Muhammad ibn ‘Abd al-Wahhab changed into a political form in a short time in 1150 A.H. (1737) and spread all over Arabia. Later, by the order of the Caliph in Istanbul, Muhammad ‘Ali Pasha, the Governor of Egypt, liberated Arabia from them with the armed forces of Egypt. ‘Abd al-‘Aziz ibn Muhammad, who believed in the Wahhabis, declared war for the first time in 1205 A.H. (1791) against the amir of Mecca, Sharif Ghalib Effendi. 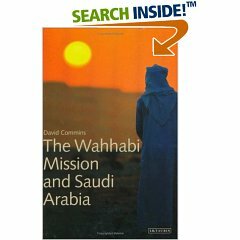 They had disseminated Wahhabism secretly till then. They had killed and tortured many Muslims, enslaved their women and children and usurped their possessions. Muhammad ibn ‘Abd al-Wahhab belonged to the Bani Tamim tribe. He was born in Uyayna village near the town of Huraimila in the Najd Desert in 1111 A.H. (1699) and died in 1206 (1792). Formerly, with the idea of trading, he went to Basra, Baghdad, Iran, India and Damascus, where he won the name “Shaikh an-Najdi” due to his clever and aggressive attitude. He saw and learnt a great deal at these places and set his heart on the idea of becoming a chief. In 1125 (1713 A.D.), he met Hempher, a British spy, in Basra, who understood that this unexperienced young person (ibn ‘Abd al-Wahhab) has a desire to be a chief by way of revolution, established a long-term friendship with him. He inspired him the trics and lies that he had learned from the British Ministry of the Commonwealth. Seeing that Muhammad enjoys these inspirations, he proposed him to establish a new religion. So, the spy and Muhammad ibn ‘Abd al-Wahhab got what they were looking for. He had thought it proper to found a new Tariqa or reach his goal, and, in preparation for this goal, attended the lectures of the Hanbali ‘ulama’ in the blessed city of Medina and later in Damascus for some time. When he went back to the Najd, he wrote pamphlets on religious subjects for villagers. 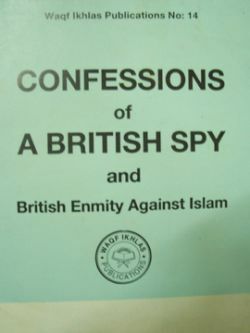 He wrote what he learned from the British spy and mixed corrupt information from the Mutazila and other groups of bidat. Many ignorant villagers, particularly the inhabitants of Dar’iyya and their ignorant chief, Muhammad ibn Sa’ud, followed him. The Arabs esteemed ancestral distinctions very highly, and because he did not belong to a well-known family, he used Muhammad ibn Sa’ud as a tool to disseminate his Tariqa, which he named Wahhabism. He introduced himself as the Qadi (Head of the Religious Affairs) and Muhammad ibn Sa’ud as the Hakim (Ruler). He had it passed in their constitution that both would be succeeded only by their children. In 1306 (1888) when the book Mirat al-Haramain was written, the amir of the Najd was ‘Abdullah ibn Faysal, a descendant of Muhammad ibn Sa’ud, and the Qadi was a descendant of Muhammad ibn ‘abd al-Wahhab. Muhammad ibn ‘Abd al-Wahhab’s father, ‘Abd al-Wahhab, who was a pious, pure alim in Medina, his brother Sulaiman ibn ‘Abd al-Wahhab and his teachers had apprehended from his statements, behavior and ideas, which he frequently had put forward as questions to them when he was a student in Medina, that he would become a heretic who would harm Islam from the inside in the future. They advised him to correct his ideas and advised the Muslims to avoid him. 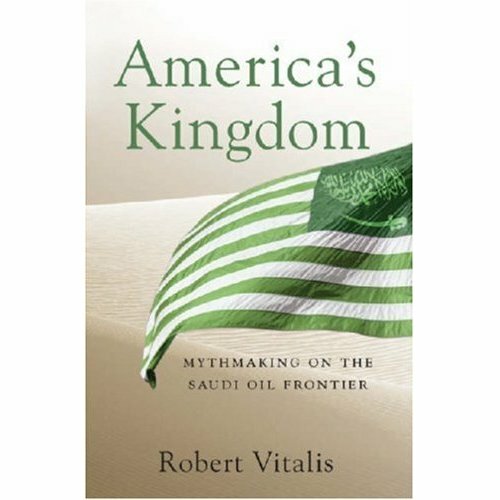 But they soon encountered the very thing they were afraid of, and he started disseminating his heretical ideas openly under the name of Wahhabism. To deceive ignorant and stupid people, he came forward with reforms and innovations incompatible with the books of the ‘ulama’ of Islam. He dared to be so impetuous as to deem the true Muslims of Ahl as-Sunnat wal-Jamaat as disbelievers. He regarded it as polytheism to ask Allahu ta’ala for something through the mediation of our Prophet (sall-Allahu ‘alaihi wa sallam) or other prophets or awliya’, or to visit their graves. According to what Muhammad ibn ‘Abd al-Wahhab learned from the British spy, he who talks to the dead while praying near a grave becomes a polytheist. He asserted that Muslims who said that someone or something beside Allah did something, for example, saying “such-and-such medicine cured” or “I obtained what I asked through our master Rasulullah” or “such-and-such wali” were polytheists. Although the documents Ibn ‘Abd al-Wahhab made up to support such statements were nothing but lies and slanders, the ignorant people who could not distinguish right from wrong, the unemployed, raiders, ignoramuses, opportunists and the hard-hearted soon assented to his ideas and took their part on his side and regarded the pious Muslims of the right path as disbelievers. When Ibn ‘Abd al-Wahhab applied to the rulers of Dar’iyya with the view of disseminating his heresies easily through them, they willingly cooperated with him with the hope of extending their territories and increasing their power. They strove with all their might do disseminate his ideas everywhere. They declared war against those who refused and opposed them. The bestial people and pillagers of the desert competed with one another in joining the army of Muhammad ibn Sa’ud when it was said that it was halal to plunder and kill Muslims. In 1143 (1730), Muhammad ibn Sa’ud and Muhammad ibn ‘Abd al-Wahhab hand in hand arrived at the conclusion that those who would not accept Wahhabism were disbelievers and polytheists, and that it was halal to kill them and confiscate their possessions, and publicly announced their declaration seven years later. Then, Ibn ‘Abd al-Wahhab started fabricating ijtihad when he was thirty-two years old and announced his false ijtihads at the age of forty. These books did not help much but rather increased the Wahhabis’ resentment against Muslims and excited Muhammad ibn Sa’ud to attack Muslims and augment the bloodshed. He belonged to the Bani Hanifa tribe, so was a descendant of a stupid race that believed in the prophethood of Musailamat al-Kadhdhab. Muhammad ibn Sa’ud died in 1178 (1765), and his son ‘Abd al-‘Aziz succeeded him. ‘Abd al-‘Aziz was assassinated, stabbed in the abdomen by a Shiite, in the Dar’iyya Mosque in 1217 (1830). Then, his son Sa’ud ibn ‘Abd al-‘Aziz became the chief of the Wahhabis. All three strove very hard, as if competing with one another, to shed Muslim blood in order to deceive the Arabs and to disseminate Wahhabism. The Wahhabis say that Ibn ‘Abd al-Wahhab disseminated his thoughts in order to attain sincerity in his belief in the unity of Allah and to rescue Muslims from polytheism. They allege that Muslims had been committing polytheism for six centuries and that he came forth to renew and reform the religion of Muslims. He put forward the 5th, 106th and 14th ayats of the respective Suras al-Ahqaf, Yunus and ar-Rad as documents to make everyone believe his ideas. However, there are many similar ayats, and the ‘ulama’ of tafsir unanimously declared that all these ayats were about idolatrous unbelievers or polytheists. According to Ibn ‘Abd al-Wahhab, a Muslim becomes an idolatrous polytheist (mushrik) if he receives istighatha from our-Prophet (sall-Allahu ‘alaihi wa sallam), from another prophet, a wali or a pious person near the Prophet’s grave or far away from it, that is, if he asks for help from him to relieve him of a burden or trouble, or if he asks for his intercession by mentioning his name or if he wants to visit his grave. Allahu ta’ala describes the situation of idolatrous disbelievers in the third ayat al-karima of Surat az-Zumar, but the Wahhabis display this ayat as a document to justify their using the word “mushrik” for a Muslim who prays by putting a prophet or a wali as an intermediary. They say that the idolaters, too, believed that not the idols but Allahu ta’ala created everything. They further say that Allahu ta’ala declared, “They [idolaters] say, ‘Of course, Allah created them,’ when you ask who created them,” in the 61st and 87th ayats of Surat al-‘Ankabut and Surat az-Zuhruf, respectively. They say that the idolaters were polytheistic disbelievers not because they believed as such but because they spoke as quoted in the third ayat of Surat az-Zumar: “Those who make friends with those other than Allah say, ‘They help us approach [Allahu ta’ala] by interceding for us with Allahu ta’ala.’ ” They claim that Muslims who ask at the graves of prophets and awliya’ for intercession and help become polytheists by saying such. Muslims believe that prophets and awliya’ are not to be worshiped and are not gods or Allahu ta’ala’s partners. Muslims believe that they are Allah’s powerless servants who do not deserve to be worshiped or performed ‘ibada or prayed towards. Muslims believe that they are Allah’s beloved servants whose prayers He accepts. The 35th ayat al-karima of Surat al-Ma’ida says, “look for a wasila to approach Me.” Allahu ta’ala means that He will accept the prayers of His pious servants and endow them with what they wish. A hadith ash-Sharif quoted by al-Bukhari, Muslim and in Kunuz ad-daqaiq declares, “Verily, there are such human servants of Allahu ta’ala that He creates it if they swear for something; He does not belie them.” Muslims take awliya’ as wasilas and expect prayers and help from them because they believe the above ayats and hadiths. Although some disbelievers state that idol-statues are not creators and that Allahu ta’ala creates everything, they claim that idols deserve to be worshiped and are able to do and make Allah to do whatever they wish. They attribute idols as partners to Allahu ta’ala. If someone asks help of a person beside Allah and says that he will certainly help him and that whatever he wishes will happen in any case, this person becomes a disbeliever. But, he who says, “My wish will not be granted for sure through his will. He is only a cause. Allahu ta’ala likes those who hold fast to the causes. It is His Custom to create as consequences of causes. I ask this person for help so as to be holding fast to the cause, but expect my wish to be granted from Allah. Rasulullah, too, held fast to the causes, and I am following the Sunnat of that exalted Prophet by holding fast to the causes,” he gains thawab. If he obtains his wish, he thanks Allahu ta’ala; if not, he resigns himself to Allahu ta’ala’s qada’ and qadar. The idolatry of disbelievers is not like Muslims’ asking awliya’ for prayers, intercession and help. A wise, reasonable person cannot liken these two to each other but fully comprehends that they are different. Allahu ta’ala alone creates both what is useful and what is harmful. No one but He deserves to be worshiped. No prophet, wali or creature can ever create anything. There is no creator besides Allah. Only, Allahu ta’ala shows Mercy to those who mention the names of His prophets, awliya’ and pious, beloved servants and who regard them as mediators, and He grants them their wish. He and His Prophet revealed this, and Muslims, therefore, believe as they revealed. Polytheists and disbelievers, however, regard idols as ilahs (gods) or mabuds (one to be worshiped) and worship them though they know that idols do not create anything. Some of them become polytheists by regarding idols as ilahs while some others by worshiping or regarding them as mabuds. They are polytheists not because they say their idols would intercede for them and make them closer to Allah, but because they regard them as mabuds and because they worship them. Rasulullah (sall-Allahu ‘alaihi wa sallam) declared, “A time will come when the ayats revealed about disbelievers will be used as documents to slander Muslims,” and “What I fear most is that some people will come to use the ayats for purposes which Allahu ta’ala does not approve of.” These two hadiths, which were related by ‘Abdullah ibn ‘Umar (radi-Allahu ‘anhuma), foretold that the la-madhhabi people would appear and ascribe the ayats revealed about disbelievers to Muslims and calumniate the Qur’an al-karim. Muslims visit the graves of those whom, they believe, Allahu ta’ala loves. They beg Allahu ta’ala through the means of His beloved servants. Rasulullah and as-Sahabat al-kiram did so, too. Rasulullah said in his prayers, “Oh my Rabb! I ask You for the right (love) of Your servants to whom You grant their wishes.” He taught this prayer to his companions and ordered them to say it, and, therefore, Muslims pray as such. Hadrat ‘Umar took Hadrat ‘Abbas (radi-Allahu ‘anhuma) with him to pray for rain with the intention of making him a wasila, and his prayer was accepted. The words “Oh… Muhammad!.. You…” in the above prayer, which Rasulullah ordered a blind man to say, prove that it is permissible to mention the names of awliya’ when praying through them. Biographies of the as-Sahabat al-kiram and the Tabiin (radi-Allahu ‘anhum) are full or documents which show that it is lawful and permissible to visit graves, to ask for intercession by mentioning the name of the dead person and to make the dead wasilas. There are a great number of hadiths which explain that it is permissible and useful to visit graves. As-Sahabat al-kiram and the Tabiin (radi-Allahu ‘anhum) frequently visited Rasulullah’s (sall-Allahu ta’ala ‘alaihi wa sallam) blessed shrine, and many books have been written on the way and uses of this visiting. Allahu ta’ala alone is the One who creates everything. It is His Custom that He makes a creature of His an intermediary or a cause in creating another thing. He who wishes Allahu ta’ala to create something should hang on to the intermediary which is the cause for the creation of that thing. Prophets (‘alaihimu ‘s-salatu wa ‘s-salam) all hang on to the causes. Allahu ta’ala commends the act of holding on to the causes, and prophets (‘alaihimu ‘s-salatu wa ‘s-salam) ordered it. Daily events also indicates its necessity. One should cling to the causes in order to obtain the things one wishes for. It is necessary to believe that Allahu ta’ala alone makes those causes be the causes of certain things, makes man hang on to those causes and creates them after man holds on to the causes. The one who believes so may say, “I obtained this thing by holding on to that cause.” This statement does not mean that the cause created the thing; it means that Allahu ta’ala created the thing through that cause. For example, the statements, “The medicine I took relieved my pain”; “My sick relative recovered when I vowed a nadhr for Hadrat as-Sayyidat Nafisa”; “The soup satiated me,” and “Water slaked my thirst,” all imply that these causes are only wasilas or wasitas. It is necessary to think that the Muslims who make similar statements believe in this manner, too. The one who believes so cannot be called a disbeliever. The Wahhabis, too, say that it is permissible to ask for something from those who are near and alive. They ask one another and the government officers for many things; they even entreat them to obtain their wishes. To them, it is polytheism to ask something from the dead or people far away, but it is not so to ask living people. However, to the ‘ulama’ of Ahl as-Sunnat, the former is not polytheism since the latter is not, and there is no difference between them. Every Muslim believes the fundamentals of iman and Islam and that the fard are fard and the haram are haram. It is also obvious that every Muslim believes that Allah is the only One who creates and makes everything, that no one besides Him can create anything. If a Muslim says, “I won’t perform salat,” it should be understood that he means that he will not perform salat at that moment or in that place, or because he has already performed it. No one should slander him by alleging that he meant he did not want to perform salat any more. Because, his being a Muslim should prevent others from calling him a “disbeliever” or “polytheist.” No one has the right to use the word “disbeliever” or polytheist” for a Muslim who visits graves, asks the dead for help and intercession or says, “May my such-and-such wish be accepted,” or “Oh Rasul-Allah! Please intercede for me!” His being a Muslim indicates that his words and deeds are in accord with the permitted, lawful belief and intention. Ibn ‘Abd al-Wahhab’s beliefs and writing will be demolished and refuted at their very foundation by the full comprehension and judgement of the preceding explanations. In addition, many books have been written to prove with documents that he was on a wrong path, that he slandered Muslims and tried to demolish Islam from within. Sayyid ‘Abd ar-Rahman (rahimah-Allahu ta’ala), the Mufti of Zabid, Yaman, wrote that it would suffice to quote nothing but the following hadith ash-Sharif to show that he was on a wrong path: “Some people will appear in eastern Arabia. They will read the Qur’an al-karim. But the Qur’an al-karim will not go down their throats. They will leave Islam as the arrow leaves the bow. They shave their faces.” Their faces’ being shaved clearly indicates that those people reported to be on a wrong path are his followers. There is no need to read other books after seeing this hadith ash-Sharif. 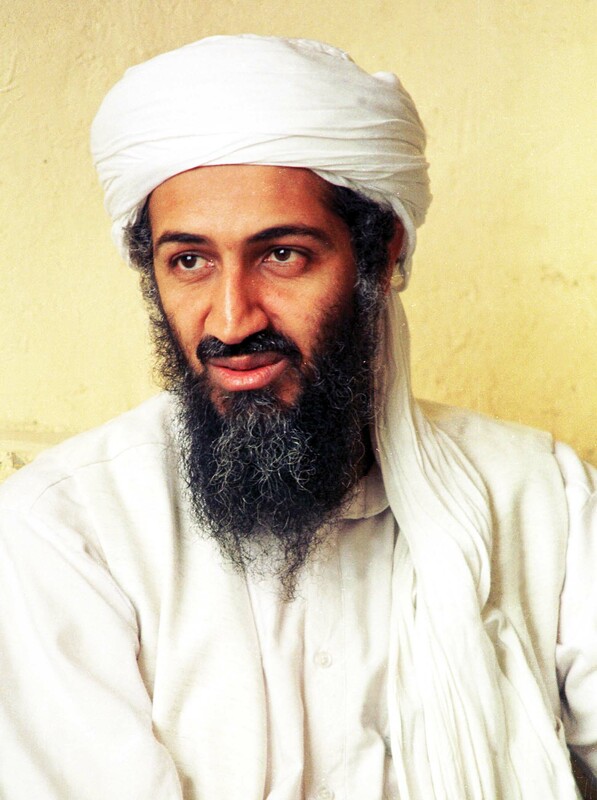 It is ordered in Ibn ‘Abd al-Wahhab’s books that his followers should shave the scalp and sides of the face. There is no such order in any of the seventy-two heretical groups. This entry was written by sufi786 and posted on December 31, 2006 at 8:30 am and filed under "May my such-and-such wish be accepted, "Oh my Rabb! Forgive me for the love of my son Muhammad, "Oh Rasul-Allah! Please intercede for me, 73 sects, Abd al-Wahhab, Abd al-Wahhab al-Sha`rani, Abu al-Hasan al-Shadhili, Abu al-Wafa' Ibn `Aqil al-Hanbali, Abu al-`Ala' al-Mawdudi, Abu Hamid al Ghazzali, Abu Yazid al-Bistami, Adam prayed, Ahl al-Sunna, Ahl as-Sunnat wal-Jamaat, al-Hakim al-Tirmidhi, al-Harith al-Muhasibi, al-Qasim ibn `Uthman al-Ju`i, al-`Izz b. `Abd al-Salam b. Ahmad b. `Anim al-Maqdisi, Ali, ALLAH, Allah and His attributes, Allah's love, Allah's servants, AMERICAN POLITICS, and his Companions, and his prayer was accepted, Arabia, As-Sahabat al-kiram, asks the dead for help and intercession or says, Ata' Allah al-Iskandari, AULIA, Awliya, BEGINNING OF WAHHABISM, BELIEFS, bid`a or innovation, Blogroll, British spy, Caliph, Community of Islam, congregation of Muslims, DEVIANT SECTS OF ISLAM, DEVIL, dhikr, doctrine, ego's love, extremist, extremist sect, fana, Fatwas, FRIENDS OF GOD, fuqaha, Ghazali, GHAZALLI, gnostics, GOD, great Imams of islam, great scholars, great scholars of Islam, HADITH, Hadrat 'Abbas, Hadrat 'Ali, Hadrat 'Umar, Hadrat 'Umar took Hadrat 'Abbas (radi-Allahu 'anhuma) w, Hamza Yusuf, Haqq, his Family, Hujjat al-Islam Imam Ghazali, Human Rights, Ibn al-Jawzi, Ibn Khaldun, Ibn Taymiyya, ibn wahhab and ibn saud massacerd the people of mecca a, Ibn Wahhab and saud royal family are british and ameri, ibn wahhab was a evil scholar, Ibn `Abidin, Imam Abu al-Qasim al-Qushayri, Imam Abu Hanifa, Imam Abu Ishaq al-Shatibi al-Maliki, Imam Abu Mansur `Abd al-Qahir al-Baghdadi, Imam Ahmad bin Hanbal, Imam al-Junayd al-Baghdadi, Imam Dhahabi's, Imam Fakhr al-Din Razi, Imam Hamza, Imam Malik, Imam Nawawi, Imam Sayyidina Ali, Imam Shafi`i, imams of islam, Imams and hadith masters, Innovations concerning Islamic Beliefs and Doctrine, intercession, intermediary (wasita) for Allahu ta'ala's granting the, ISLAM, Islamic Books, islamic extremist, islamic terrorist are salafi and wahhabi, Islamic tradition, Islamism, Istanbul, istighatha, istishfa' and tawassul all mean 'asking for wasita or w, it is permissible to mention the names of awliya' when, Jalal al-Din al-Suyuti, Ja`far (ibn Abi Talib and Zayd, jurists, khawrij, king saud of saudi arabia are the enimes of Islam, knowledge of Allah and His attributes, make Prophet Muhammad a wasila, MUHAMMAD, Muhammad ibn Sa'ud, Muhammad's community, mushrik, Muslim becomes an idolatrous, Muslim Community, Muslim who visits graves, MUSLIMS, Mutazila, MYSTICS, nafs, Naqshbandi, Oriental Studies, Ottoman reign, Philosophy & Religion, POLITICS, polytheist, PROPHET, Prophet be an intercessor, Prophet's grave, Psychology, Qur'an and the Sunna, Qur'an commentary, QURAN, Rasulullah (sall-Allahu 'alaihi wa sallam), RELIGION, RESPONSE, Reviver of the Sunna, RIGHT PATH, roots of Islamic terror, roots of wahhabism, RUMI, sacred law, Sahih Bukhari, Sahih Muslim, SAINTS, Salaf, Salaf and Khalaf, Salafis, SALAFISM, sall-Allahu 'alaihi wa sallam, sama, Scholars On Tassawwuf, SECTS, sects of islam, self-purification, self-purification and tasawwuf in Islam, shariah, Shaykh Abu Isma`il `Abd Allah al-Harawi al-Ansari, Shaykh M. Hisham Kabbani', Shaykh Muhammad Nazim Adil al-Qubrusi al-Haqqani, Shaykh Yusuf al-Qaradawi, Shaykh `Abd al-Qadir al-Gilani, Spiritual Study, spirituality, SPREADING OF WAHHABISM, sufi, sufi saints, SUFISM, Sufism in Islam, Sufyan al-Thawri, Sultan al-`ulama' al-`Izz ibn `Abd al-Salam al-Sulami, sunnah, TASAWWUF, tasawwuf in Islam, Tasawwuf/Sufism in Islam, TAWASSUL, THE BEGINNING AND SPREADING OF WAHHABISM, THE FIRST WAHHABI MISSION AGAINST MUSLIMS OF MECCA, the wahhabi dont even spare killing of women and childr, the wahhabi or salafi have killed muslim women and chil, the wahhabi salafi damaged and looted the holy cites of, the wahhabi salafi massacerd people of Medina and mecca, the wahhabis and salafi are Khwarij of mdern times, the wahhabis or salafi are the real enemies of muslim, the wahhabis or salafi have shown disrespect in medina, The words istighatha, Ulama, Uncategorized, wahhabi and salafi are anti Muslim, wahhabi and salafi are devils, wahhabi and salafi are hypocrites, wahhabi and salafi are the slaves of british and americ, wahhabi and salafi massacre of muslims, wahhabi and slafi have killed and totured muslim schola, wahhabi or slafi are bandits and robbers, wahhabi salafi are terrorist, wahhabi salafi destroyed the graves of family or ahle b, Wahhabis, wahhabis and salafi consider killing of inncocent musli, wahhabis disrespect Prophet Muhammad (s), wahhabis disrespect the family or ahle bayt of prophet, wahhabis salafi disrepect salaf, wahhabis salafis call muslims polytheist, wahhabis salafis destroyed the graves of companions of, wahhabis salafis disrespect the sufi saints of prophet, wahhabis salafis disrespect the companions of prophet m, Wahhabism, wali, wasila, WHABISM, Zakariyya ibn Muhammad Ansari with tags ibn wahhab and ibn saud massacerd the people of mecca a, Ibn Wahhab and saud royal family are british and ameri, ibn wahhab was a evil scholar, islamic extremist, islamic terrorist are salafi and wahhabi, khawrij, king saud of saudi arabia are the enimes of Islam, roots of Islamic terror, roots of wahhabism, THE BEGINNING AND SPREADING OF WAHHABISM, THE FIRST WAHHABI MISSION AGAINST MUSLIMS OF MECCA, the wahhabi dont even spare killing of women and childr, the wahhabi or salafi have killed muslim women and chil, the wahhabi salafi damaged and looted the holy cites of, the wahhabi salafi massacerd people of Medina and mecca, the wahhabis and salafi are Khwarij of mdern times, the wahhabis or salafi are the real enemies of muslim, the wahhabis or salafi have shown disrespect in medina, wahhabi and salafi are anti Muslim, wahhabi and salafi are devils, wahhabi and salafi are hypocrites, wahhabi and salafi are the slaves of british and americ, wahhabi and salafi massacre of muslims, wahhabi and slafi have killed and totured muslim schola, wahhabi or slafi are bandits and robbers, wahhabi salafi are terrorist, wahhabi salafi destroyed the graves of family or ahle b, wahhabis and salafi consider killing of inncocent musli, wahhabis disrespect Prophet Muhammad (s), wahhabis disrespect the family or ahle bayt of prophet, wahhabis salafi disrepect salaf, wahhabis salafis call muslims polytheist, wahhabis salafis destroyed the graves of companions of, wahhabis salafis disrespect the sufi saints of prophet, wahhabis salafis disrespect the companions of prophet m. Bookmark the permalink. Follow any comments here with the RSS feed for this post. Post a comment or leave a trackback: Trackback URL.